Time for Rooney to come home? Following Wayne Rooney’s omission from the Manchester United starting eleven for the Champions League match against Real Madrid, every man and his dog have weighed in with their opinion on the Scouse born striker. We thought we would throw our two-penneth in to the mix for what it’s worth. When Rooney burst onto the scene as a 16 year old superstar back in 2002, everyone believed he had the potential to become the greatest player ever to wear the royal blue of Everton. Unfortunately, circumstances dictated that his time as a professional footballer with his boyhood club was short lived. Everton’s finances were in a sorry state (even worse than they are today) and the team had endured one of the most difficult seasons under the tutor-ledge of David Moyes, finishing just one place above the relegation zone. In the summer of 2004, Rooney representing England in the European Championships, took the tournament by storm and despite breaking a foot as England exited the tournament, the whole world had become aware of the phenomenon that English football had recognised since his wonder goal beat Arsenal in the winter of 2002. Despite the disdain towards Rooney from a number of Evertonians, who have struggled to forgive him for walking away from the club, I for one have always believed he would return to Everton at some point in his career. I have however, always thought that would come in the twilight of his career, at a time when he is content with what he had achieved in the game and with Rooney looking to take a final opportunity to embed himself in the rich history of Everton Football Club. And that, may still be the case. But what has provided hope that day could come sooner, is the fractious relationship he enjoys with Sir Alex Ferguson. Transfer requests, disciplinary issues and now out of favour with the management during key games, trouble has regularly intercepted the plethora of medals won during his time at Old Trafford. Realistically, if Wayne was to decide his time at United had come to an end, he would be swamped with offers from top clubs from around the globe. He could earn untold riches by joining one of the worlds new breed of mega rich clubs, stretching from Paris, to Russia and on to the Far East. 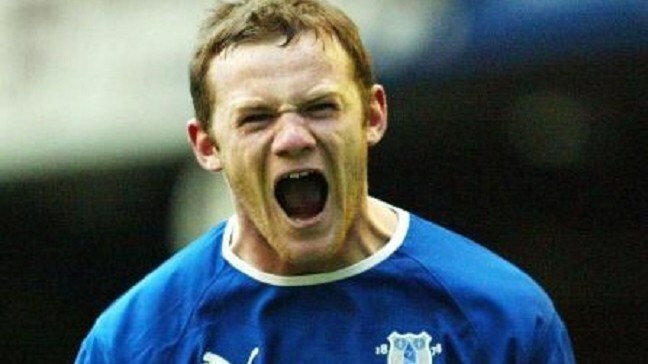 A return to Everton would require a genuine desire from Wayne Rooney to make the deal happen. He would have to settle for a significantly reduced wage and Everton too would have to sacrifice Fellaini to finance any transfer fee. It is all hypothetical, but Wayne Rooney back in an Everton shirt would sell out Goodison every single week. Is it time to final forgive and forget and welcome Wayne home?